To ship musical instruments is almost the same as to ship fine art. You need to be very careful and attentive to detail as each of these delicate items is very fragile and can be easily damaged during the move. This is actually one of the main reasons to hire professional art shippers specializing in handling and moving musical instruments of any type, from grand pianos to harps and violins. However, there is one more important reason to contact a reliable art moving company, and it is directly related to obtaining special permits. For example, what if you need to ship a rosewood guitar or a vintage piano with ivory keys? Did you know that the process of selling and shipping items like that is strictly regulated by CITES (the Convention on International Trade in Endangered Species of Wild Fauna and Flora)? In one of our previous blog posts, we wrote about the nuances of selling and moving elephant ivory, and now let’s take a closer look at the problem of shipping rosewood guitars. CITES laws that heighten the protection of all rosewood species came into effect on January 2, 2017. Now, approximately 300 species of rosewood are under the same protection as Brazilian Rosewood (one of the most desirable woods for stringed instruments), which has been on the endangered species list since 1992. What does it mean for you? If you are a touring musician or a regular guy or girl traveling with your rosewood guitar, there should be no problem. However, since every shipment related to rosewood now requires special permits, both export and import, you should start preparations in advance (each permit usually takes 3-5 weeks to obtain). The situation becomes a bit complicated for those who are going to sell a rosewood guitar internationally. 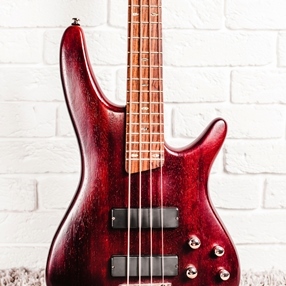 In such a case, you need not only a certificate stating that your guitar was made before new CITES laws came into effect but also special import/export permits that can take several months to receive. As a professional art moving company specializing in shipping pianos, guitars, and other musical instruments both nationally and internationally, Fine Art Shippers can help you obtain all the necessary permits and ship your precious rosewood guitar safely and legally to anywhere in the world. Moreover, our services won’t cost you a fortune. Just request a free quote and see for yourself!